Difficulty – 9 of 10… you have a tough 1,200 foot climb. Total score – 9 of 10. 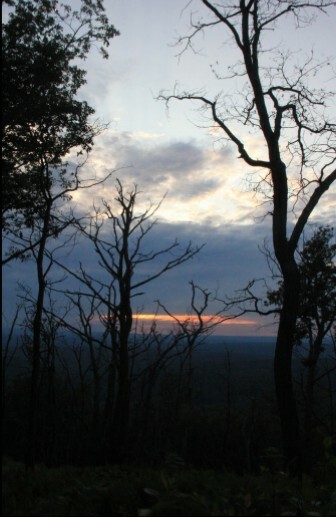 So the Scouts and I were back up in Worthington State Park on the Appalachian Trail this weekend. 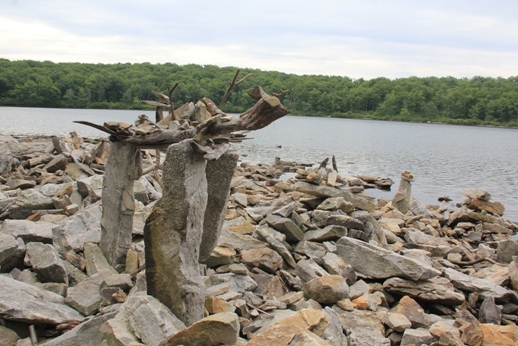 As previously mentioned in this blog, Sunfish Pond is one of my favorite hikes of all time. There are plenty of details in my other post for a great day hike or weekend backpacker trip on this stretch of trail. 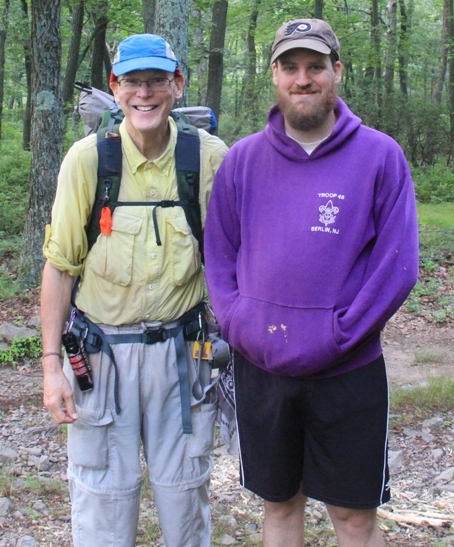 What made this trip extra great was meeting thru-hiker Dr. Dave Rough on the trail this morning. For the two of you who regularly read my blog, you may remember Dave from my long winded ramblings about backpacking and my obsession with AT thruhiking. Well, he’s made it to New Jersey, and I was thrilled to be able to welcome him to the greatest state in the union on his first day here. He was nice enough to spend fifteen minutes or so telling us some of his trail stories and talking to us. Needless to say, he’s a genuinely nice, friendly guy, and it was a very happy coincidence that he was coming through the water gap the same weekend we were camping up there. 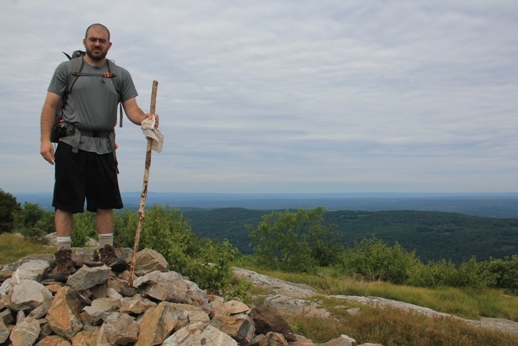 We here at South Jersey Trails (as well as BSA Troop 48) wish him the very best of luck on his journey to Katadin, and I hope to perhaps run into him when we’re hiking the AT in Massachusetts in a few weeks. Also, it may be time to trim my beard. 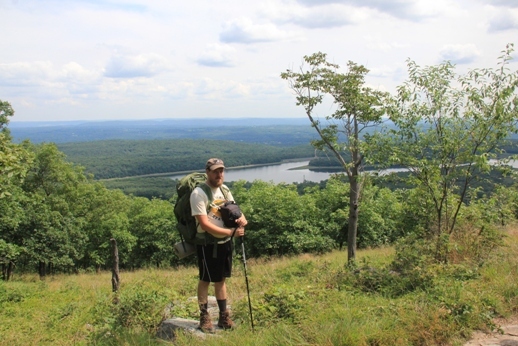 I strongly recommend following Dave on the rest of his adventure Northward – http://hikeitforward.wordpress.com/. He’s also walking for a cause – to raise money to fund scholarships for families to send their children to the Christian schools that he works at. If you are able to contribute to that cause, it’s certainly a noble one. He’s the king of the world (I’ll get punched for this caption later). Maybe the best view in the state. You’re looking down at the Delaware River. 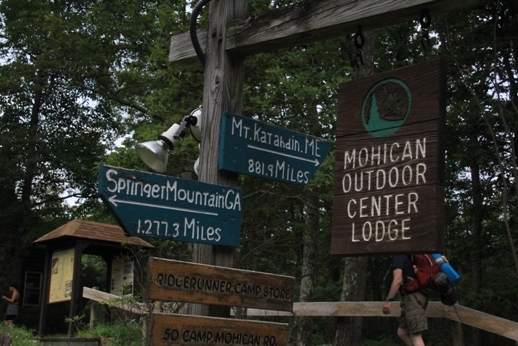 New find for this trip – the Mohican Outdoor Center. When you hit Campground Road (which is where we turn around on our little weekend trip), take a left and 1/4 mile later, you’ll hit the gift shop/camp store/deli/ food type place. Get an AMC patch, replace your water bottle, or just grab a hot dog. 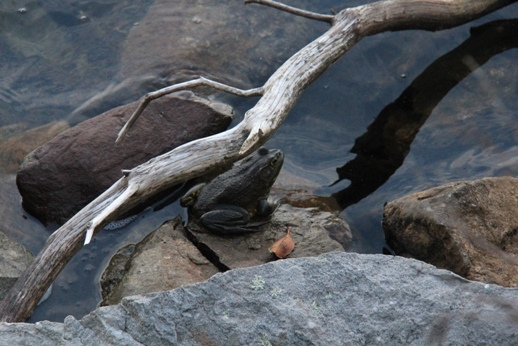 Big bullfrog at Sunfish Pond. Not a bad sunset either. 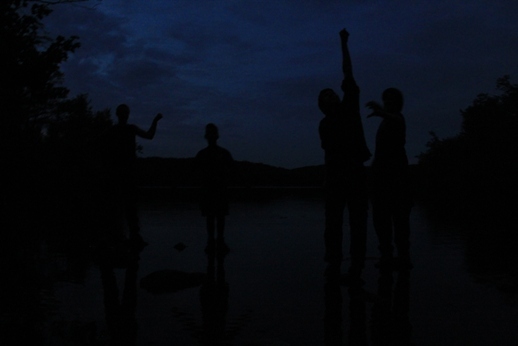 Night hike back to the pond. We were too tuckered out to wait for the stars, but next time. I woke up this morning. I talked to Paul. I went to take a shot of the clouds over the mountains. Something on the edge of the campsite moves. 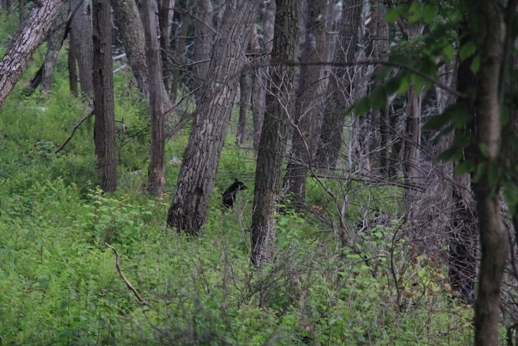 Yes, it’s a bear. 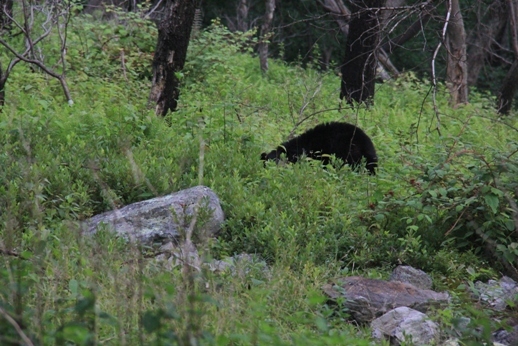 She brought three cubs with too (Photo credit: Tom, who stole my camera so I claim this picture as mine anyway. Muhahaha).